Autoresponder services are offered by a number of companies that provide a wide array of options, outstanding service and competitive pricing. Each has their own advantages and disadvantages. I’m still amazed at the evolution of the direct marketing industry. You know. Mail an offer … or several offers … to someone in an envelope. With a stamp on it. Sometimes the stamps were the best part. Tell them about your product or service. And get a desired response. Whether that response is an actual sale or just to get you on their list, the basic formula hasn’t changed for more than a hundred years. And long before email existed, the money was always in the list. Are you old enough to remember the days when your mailbox … you know, envelopes and boxes and magazines and stuff … was full of “junk mail” every time you opened it? Well, I am. Some days, mine still is. It takes me back to when I was a kid. Longer ago than I care to admit. Even at a young age, I loved it. I loved the process. And I managed to end up on a on a lot of mailing lists usually because I had responded to earlier offers. I eagerly looked forward to the many product mailings that showed up in our box every day. Especially if my name was on it. Why did I receive so much so-called junk mail? Because those advertisers knew that mailing good offers consistently to people who were on their lists was a goldmine. My fervor for receiving the offers that junk mail offered never left me. Heck, I even got into the business. The modern-day version. As I grew up and learned more about the direct-mail business, I realized just how much money those companies were investing in their mass mailings. The mailing costs were astronomical in a lot of cases. And sometimes, those mailings were duds. Even despite testing. Resulting in a huge loss for the mailer. It got me thinking how much the direct-mail business … even though it still exists albeit on a smaller scale … is a lot like email and autoresponder marketing today. But oh, do we have it so much better. Mass mailings … by email … can be sent out to thousands, tens of thousands and more at a minimal cost thanks to several excellent autoresponder service. It almost doesn’t seem fair if you were part of the business before email was invented. And that’s only 20 years or so ago. And in email, if your mailing is a dud, who cares? It didn’t cost anything to send out the email. In fact, in most cases, it was sent out automatically. I know, there are some setup expenses and some ongoing costs but autoresponder services require only a fraction of the investment direct-mail marketers used to make in a mailing. Autoresponder services allow an online marketer to set up a series of emails … usually 7 to 10 per series … and then send those emails out on a pre-determined schedule. They can be sent daily, every few days or with an even longer duration between each email. The idea is to nurture a relationship, encourage initial sales and then repeat sales. If you read my Autoresponder Marketing article, you’ll learn that there’s a difference between autoresponder writing and email writing. Autoresponders are designed to develop a relationship with a prospect after they’ve contacted you … usually for something they can get free. In return, they give you their email address. Email marketing … in my experience … usually doesn’t involve autoresponders. They are timely, original emails written to customers … people who’ve already bought from you … to acquire additional sales. Repeat sales. 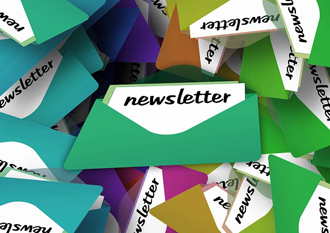 Email marketing may refer prospects to a new blog post, a new or additional product, or a link to an affiliate product. 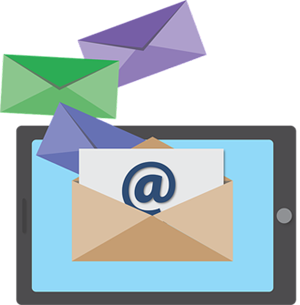 There are a number of companies online that provide all the autoresponder services you need to build your email list, mail to that list, and handle everything involved. For a very reasonable cost for what you get. Sendlane (newer and less well-known but excellent). I’m not going to go over all the services listed above. If you want to learn about the ones I don’t talk about below, click on the links above and go to their sites to learn more about each. Working on this review helped me decide which service I was going to use for this website. I would recommend you do your due diligence and check them out for yourself. I didn’t provide pricing information here. Pricing is competitive among the companies and I suggest you make the comparisons yourself. 1. AWeber – Generally recognized as the pacesetter in the email and autoresponder marketing world. 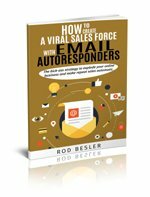 It is highly recommended by many successful email marketers. Jill Winder … popular blogger for “The Prairie Homestead” … credits AWeber with helping her grow her email list to over 60,000 strong. She turned to email marketing after she was penalized by Facebook for something and lost a huge amount of traffic. AWeber does a great job of scheduling follow-up emails for subscribers. Regardless of how many subscribers join and when, they’ll be placed in the proper sequence with the proper interval between messages. AWeber’s interface is relatively simple. It’s easy to get set up and scheduled. They guarantee that 99% of your emails will land in your prospect’s inbox. A feature I like. You can automatically create emails from your latest blog post. And they have a drag-and-drop editor that simplifies the design process. AWeber is the service I use. I love the tools that help you create your own opt-in forms or pop-ups and easily add them to your site. Customer support is outstanding. They have more than 700 templates you can use to design your emails. You can even get custom ones designed. But you can’t upload files to your messages. 2. MailChimp – Has one big selling point. It’s free for your first 2,000 subscribers. But if you’re looking at building a sizeable list, that’s not really a good reason to go with them. Changing your service once you’re set up is a tricky move. It may disrupt your email flow and cost you customers. Oh, one more thing. You can’t set up autoresponders on their free service anymore. MailChimp doesn’t provide support for those free customers either. But its interface is user-friendly and attractive. Even their website is visually appealing. You can also connect your store to one of MailChimp’s many e-commerce integrations. Create targeted campaigns, automate product follow-ups, and send back-in-stock messaging. A drag and drop designer, built-in photo editor and a wide variety of pre-designed templates let you design original one-of-a-kind email campaigns. MailChimp has some negatives though. The interface may take time to load. All of your messages will feature their logo. And you don’t get the option of importing your own templates to their system. Nonetheless … despite the negatives … it’s easy to use and a popular choice. 3. Sendlane – Although a newer and less well-known option, Sendlane was designed by email marketers for email marketers. It allows you to send newsletters, design attractive email campaigns and provide the analytics to track whether your emails are working or not. You can automate your campaigns based on personal and behavioral data from your customers. Sendlane also helps create gorgeous landing pages within minutes. They provide a drag and drop page builder. Sendlane is a relatively new service recommended to me by a business affiliation who is really high on it. But it hasn’t been around long enough for me to make a recommendation to use the service. I ultimately chose AWeber to provide my autoresponder services. The choice is between AWeber and MailChimp in my book. Check each site out and compare prices and offerings. If you’re a beginner, MailChimp is a good way to go due to its user-friendly interface, excellent support and service and ease in getting up and getting going. AWeber allows more options to customize your offerings and would be my choice if you’re not a beginner. The information I’ve received from AWeber … success stories and ideas … in email and ebook form were invaluable in making my decision. All I had to do was give them my email.